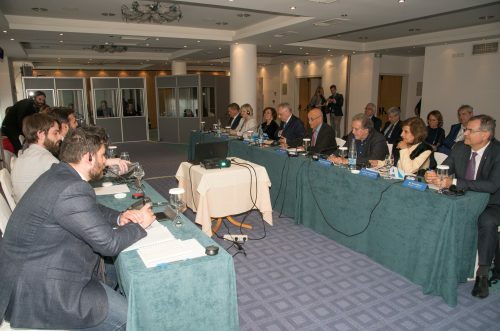 For three days, the Executive Committee, the Executive Bureau and the Technical and Medical Commissions of the ICMG met in Patras, taking important decisions, focusing on the Mediterranean Beach Games. 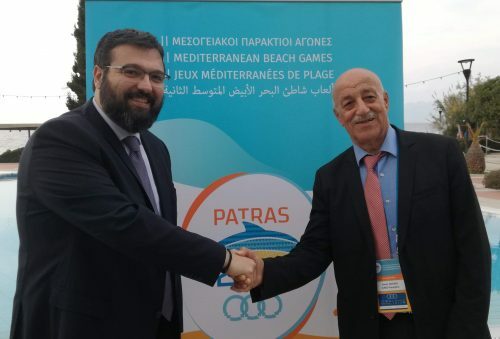 The meetings were completed on Thursday afternoon, with the Joint Meeting of the ICMG with the Organizing Committee of the Mediterranean Beach Games “Patras 2019”, in the presence of the Deputy Minister of Sports of Greece, Mr. George Vassiliadis, in which the work progress has been presented in detail. The ICMG Executive Committee approved the final locations and the number of sport disciplines, as well as the games plan. 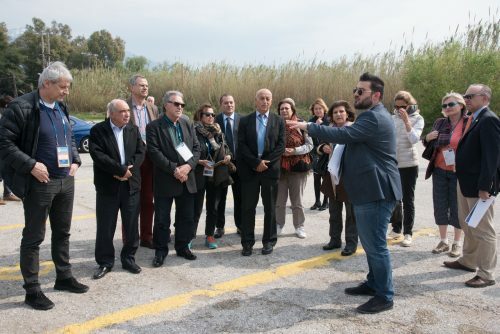 They also had visited the sites where the games will be held in the Mediterranean Beach Games. The tenders for supplies and accommodation for athletes and their escorts remain a high priority for the next period and until May 3 that the next visit of the Coordination Commission in the city is scheduled. At the end of the Meeting, the ICMG President pointed out: “We are pleased with the progress of the work. There is a small team that is working hard to reach the deadlines and we are convinced that the Mediterranean Beach Games of Patras will have a great success. Patras is a big city, it is attractive and has a lot of potential”. The Deputy Minister of Sports George Vassiliadis pointed out: “The State supports Patras Games and I am optimistic. The program is followed closely and I am pleased with the progress of the organisation. We want to make good and successful Games that will leave a legacy in Patras”. 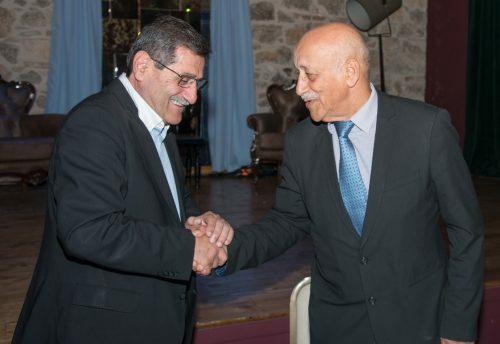 In the framework of ICMG’s meetings in Patras, the President and the Executive Committee met twice the Mayor of the city Mr. Kostas Peletidis and his colleagues and they had very fruitful discussions. In the meeting of the Executive Committee, apart from Patras Games, was discussed the Mediterranean Games is going to be held in Oran in 2021. Executive Bureau as well as Technical and Medical Commissions meetings were also held.